Grade 5 Reading Comprehension Worksheet - Answer Online Or Print For Later! You hold your hand to your chest and feel your heart go "thump, thump, thump...". What is a heart? It's really just a muscle, like those in your arms and legs. Located a little left of the center of your chest, the heart is about the size of your fist. 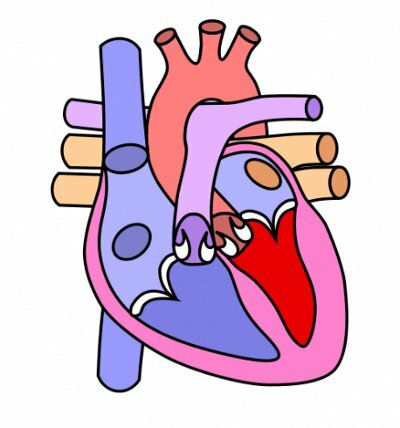 The heart's job is to pump blood around to different parts of the body. It sends oxygen and nutrients out, and carries back waste. The two sides of the heart each have their function. The left side brings in oxygen-filled blood from the lungs and delivers it to the body, while the right side receives circulated blood from the body. The "thump" you feel is the heart filling with blood, then squeezing the blood out. Your heart does this all day along, all by itself! Grade 5 online reading comprehension site for elementary, intermediate, and middle school students. Many free grade 5 reading comprehension worksheets to help improve reading skills in children and ESL (English as a Second Language) students. Take our grade 5 worksheet tests anonymously, or register so you can track your (or a child's) progress via our student/teacher/parent "portal". Generate reports to see how the test-takers are progressing over time. Take and re-take tests to improve grade 5 comprehension skills.